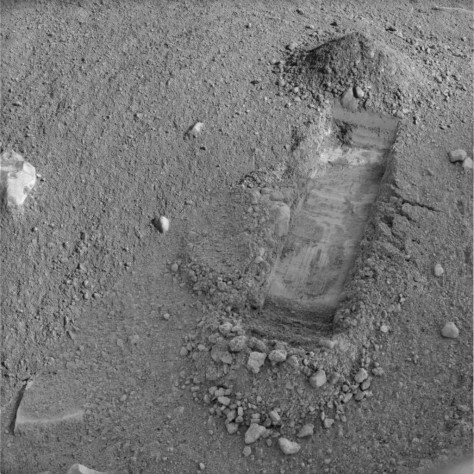 NASA's Phoenix Mars Lander began excavating a new trench, dubbed "Snow White," in a patch of Martian soil near the center of a polygonal surface feature nicknamed "Cheshire Cat." The dump pile is located at the top of the trench, the side farthest away from the lander, and has been dubbed "Croquet Ground." The trench is about 12 inches (30 centimeters) long.